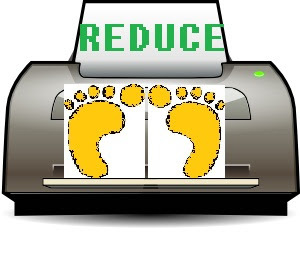 Carbon Footprint Standard for Print To Be Set by ISO, To Reduce Greenhouse Emissions in Printing | TonerGreen - Eco-Friendly Toners from the U.S.
Printing produces greenhouse emissions and leaves carbon footprints. Limiting those emissions for the environment has proven to be difficult because of the lack of standards to measure it, and consequently, to reduce it. Soon such limitation will be overcome as the creation of a standard - measuring carbon footprints in printing - by ISO is underway. The International Organization for Standardization (ISO)has formed WG11, tasked to develop ISO draft 16759 that will measure the carbon footprint of print. The WG11 aims to complete the new standard by 2012 and present it on the no. 1 trade fair for the print media industry - drupa. When this important printing standard is finally set, printers and its components can be designed and manufactured to leave the least amount of carbon footprints when used. As such stakeholders of the printing industry are encourage to take part in accomplishing this objective. Tonegreen lauds this initiative as it finally gives the industry a definite direction to take in achieving a more environment-friendly printing process. As we await that much-needed standard, let us be conscious every time we print. Use energy-saving printers and eco-friendly remanufactured toners and inks. This is a very great idea to reduce the carbon footprint.It means the carbon that we are emitting has exceeded all limits and should be reduces.We can opt for pool cars and also stop using the transport where there can be a choice.